There has been press recently on a “new” food allergy treatment by a company which plans to bring standardized doses of peanut flour to market so that individuals with peanut allergy can be desensitized. This has generated a lot of discussion and excitement in the food allergy community over the past month. However, it is important to note that this is not really a “new” treatment. Recent studies on this type of treatment using peanut flour go back more than a decade, and this form of treatment has been offered for food allergies by practicing, board certified physicians in allergy and immunology (allergists) for at least 10 years. Our practice, Allergy, Asthma & Sinus Care Center of St. Louis, has been offering this treatment since the summer of 2016, when our first patient (the daughter of one of our providers) was desensitized to peanut when she was 9 years-old. Since then, our practice has desensitized 35 children to peanut with smaller numbers for other food allergens. In addition, we have 58 children currently going through the OIT process as well. So let’s back up a bit and review a few basic questions. What is oral immunotherapy or “OIT”? This is a process of desensitizing someone to a food to which they are allergic by giving very tiny doses of that food and slowly increasing the amount of the dose over time. It is a way to get a person who has life-threatening food allergy to be able to consume the food without having a reaction. This is not necessarily a “cure” for food allergies, and people need to consume the food on a daily basis to prevent reactions in most cases. They should also continue to have access to their epinephrine autoinjectors. However, promising studies suggest that some children (especially younger children) may not have to consume the food daily to be protected. What is the primary goal of OIT? The primary goal of OIT is to prevent an episode of anaphylaxis with an accidental exposure. In other words, the single most important goal of OIT is to make it so a person who accidentally consumes a food allergen to which they are allergic does not have a life-threatening reaction. Why did Allergy, Asthma & Sinus Care Center of St. Louis start offering OIT? First, as mentioned earlier, one of our provider’s has a child who has had food allergies since infancy (as a side note, that provider still gets a little blame at home and has a certain amount of guilt for not having done more to prevent or treat food allergies sooner), so there was clearly a significant amount of self-interest in investigating food allergy treatment options in our practice. Therefore, our practice believes there is an urgent need in our community to offer options for the treatment of food allergies in all patients but especially in very young children. Let’s briefly talk about why we believe this using peanut allergy as an example. 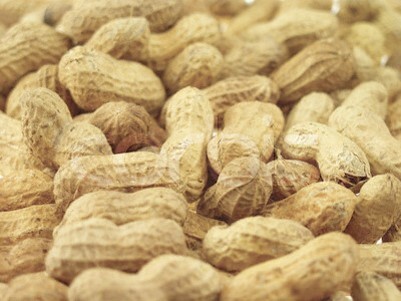 The general consensus is that peanut allergy is only outgrown in about 20% of people who develop it. This means that the vast majority of children who are diagnosed with peanut allergy will not outgrow the allergy compared to the much greater chances of outgrowing milk and egg allergy for example. However, an excellent study from 2017 published in the Journal of Allergy and Clinical Immunology (“Early oral immunotherapy in peanut-allergic preschool children is safe and highly effective”) showed that 91% of children 9-36 months of age who were treated with OIT for peanut were able to successfully introduce peanut into their diet and did not have reactions when challenged even after stopping daily peanut treatment for 4 weeks! Let’s repeat that- basically 91% of kids who successfully went through OIT at a young age and then stopped consuming peanut daily, still did not have reactions 4 weeks later when challenged with peanut. That is incredibly exciting news, and this led us in 2017 to expand our OIT offering to infants who are diagnosed with peanut allergy. If only 20% of kids generally outgrow peanut allergy, and we can turn that number upside down and make it so that nearly every infant/toddler initially diagnosed with peanut allergy can start eating peanut without the risk for a life-threatening allergic reaction…..well, we feel strongly that the potential impact of this treatment in our local community is a game changer for food allergy, especially in our youngest patients. In fact, the authors of the study mentioned above concluded “E-OIT [early-OIT] had an acceptable safety profile and was highly successful in rapidly suppressing allergic immune responses and achieving safe dietary reintroduction.” One of our provider’s only regret is not being able to offer this sooner, especially for their own family. While the focus of the previous paragraph was on younger children, this treatment clearly works for a majority of older children as well. While OIT is not necessarily the right option for everyone, and by no means do we intend to imply that everyone with food allergies should go through OIT (this is a very personal decision for individual families), we feel that families should have choices beyond just strict avoidance for the treatment of food allergies. We understand that a teenager who has avoided peanuts their entire life and is doing fine may have no interest in going through OIT, but we still feel that having the option for treatment available is important for our community. Why don’t more allergy practices offer this? While we cannot speak for everyone, there are likely several reasons for this. First, we are the community experts when it comes to food allergy (in addition to being leaders in treatment of asthma, environmental allergies, hives, and immunodeficiency). In addition to offering OIT, we offer comprehensive management of food allergies. We do numerous food challenges (well over 200/year), often to rule out food allergy or to determine if someone is still (or ever was) truly allergic to that food, so that people do not need to avoid foods unnecessarily. We have been using advanced component testing for food allergies for about 10 years (initially for egg and milk and more recently for peanuts and tree nuts). This has helped us determine over the years who may be good candidates for food challenges. The wait list for food challenges at both Cardinal Glennon Children’s Medical Center and Saint Louis Children’s Hospitals is often more than 6-12 months. We had been able to get people in for food challenges within 1-2 weeks, but as more patients have found us, this wait time has started to creep up, and as we write this, the wait time can be up to a couple of months. Second, the practice of OIT is not standardized. Most people in academic medicine feel that since we do not know the exact, best protocol and doses that should be given for OIT, it should not be offered outside of research studies. The problem with that response is that a generation of children do not necessarily have time to wait until everyone agrees on the (single) absolute best approach. Children’s immune systems are constantly developing, but the older they get, the more likely their immune systems will become “locked into” their food allergy. We know from studies not only in food allergy but also from studies with allergy shots that the earlier people get treated, the better the long-term outcomes. Third, the broader academic allergy community feels that the risks outweigh the benefits. We have heard at allergy meetings from some key thought leaders, statements (to paraphrase) such as “people with food allergies can simply avoid the food, and they don’t have reactions. Why treat them with OIT that has the associated risk of life-threatening allergic reactions?” “Avoidance is still the best option.” “Until we have all the necessary studies, people outside of research settings should not do OIT.” Respectfully and vehemently, we disagree. Again, we recognize that OIT is not right for everyone, but it is a valid treatment option. Most (not all) people doing this research do not have children with food allergies. Some of them seem not to recognize that terror that some of us may feel when our children may be in an environment where eating something as innocuous as a small cookie can lead to an emergency department visit or even death. They don’t understand the fear that may prevent us from eating out or going to baseball games to cheer on the Cardinals. They may not know that it is not always “fun” to be one of the only or the only child sitting at an “allergy free” table at school. There are many more examples too numerous to list here of the day to day experiences families dealing with food allergies have to go through. With all of that being said, there are significant risks in OIT, including anaphylaxis and the possible development of an inflammatory condition of the esophagus called eosinophilic esophagitis (EoE; about 3-5% in published studies), and the risks may outweigh the benefits for some people. Finally, OIT is very labor intensive, not just for families, but for allergy practices. This is not an endeavor to be entered into lightly, which is why our practice considered this for over 3-4 years, taking the time to develop the infrastructure and excellent staffing (our front desk staff, medical assistants, nurses, office management, administrative/billing, and providers are all awesome!) required to at least start offering OIT on a smaller scale. We have grown since 2016, and we hope to continue to do so in the years to come so we can serve more of the community in a safe and efficient manner. We are proud to report that some local allergy practices in the greater St. Louis area have started referring some of their own patients to us specifically for OIT, but those practices will continue to manage the other allergy/asthma health conditions of their patients. We welcome new patients and appreciate how much we ourselves have learned from our established patients. We are not looking to dictate one treatment for everyone. We know every individual/family is different and what works for one person may not be the best option for another. We honestly feel that medicine should be a partnership between patients and providers. Our mission is to use our expertise to improve the quality of life for adults and children through the diagnosis and management of asthma, food allergies, and other allergic conditions. We look forward to working with you and your family to improve everyone’s health outcomes. As we often say to our patients during OIT treatment, remember, this is a marathon, not a sprint.